1. 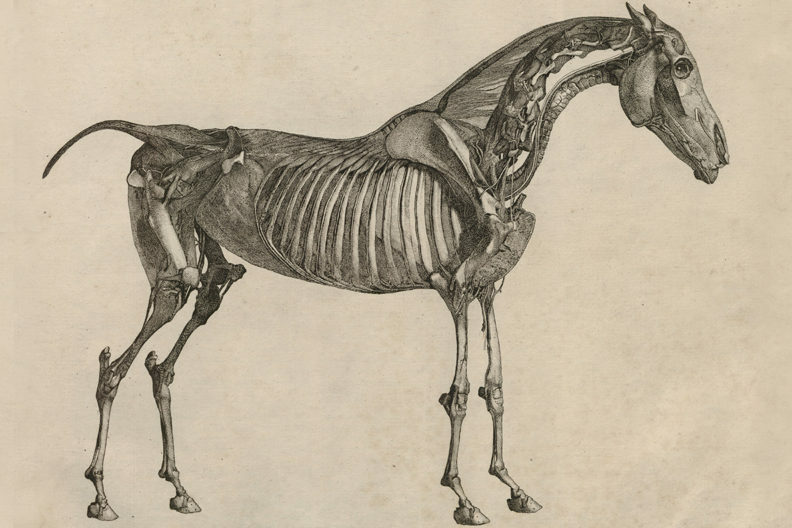 Illustration from George Stubbs’ “The Anatomy of the Horse,” published in 1766. “Art in the Library” exhibits feature animal-themed works, typically with a connection to the WSU College of Veterinary Medicine. For more information, visit the WSU Veterinary Medicine news website. In 1978, shortly after a fire threatened his home in Santa Barbara, Calif., Dr. J. Fred Smithcors began donating his extensive collection of some 1,200 printed books, pamphlets, manuscripts and ephemera to WSU. Today, the WSU Veterinary History Collection consists of almost 1,900 items dating from the 16th to the 20th century. Considered one of the finest collections devoted to the history of veterinary medicine, the WSU collection contains such landmark works as “Anatomia del Cavallo” (1707) by Carlo Ruini, considered the father of equine anatomy; Andrew Snape’s “Anatomy of an Horse” (1683); and George Stubbs’ folio, “The Anatomy of the Horse” (1766). Smithcors also collected the earliest American imprints on veterinary topics, including multiple editions of “The Citizen and Countryman’s Experienced Farrier” (1764, 1797, 1803 and 1839). Smithcors’ wife, Ann, counts among her favorites in the collection a book her husband wrote: “Evolution of the Veterinary Art,” published in 1957. It is a narrative account of veterinary practices through 1850. 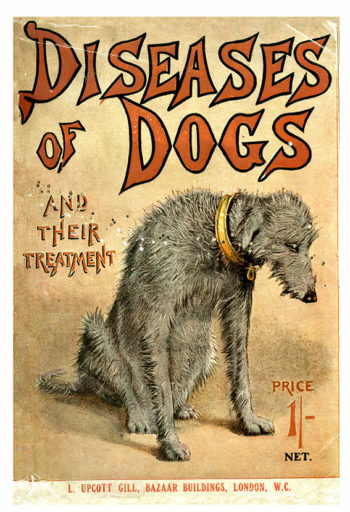 Front cover of publication, “Diseases of Dogs and Their Treatment,” published in 1899. In 1955, while on the faculty of Michigan State University, Smithcors developed the first course in veterinary history to be taught at any school or college of veterinary medicine in the United States. As a visiting professor to the Pullman campus, he lectured on veterinary history every fall from 1978 until 1998. Smithcors published more than 100 articles in professional journals on topics ranging from endocrinology to history, edited definitive texts in large animal medicine and surgery, and authored several books on veterinary history. He was founder and first president of the American Veterinary Medical History Society (AVMHS), which honored him by creating the Smithcors History of Veterinary Medicine Symposium in 2013. The AVMHS also sponsors an annual essay contest in Smithcors’ name, open to all DVM students currently enrolled in veterinary colleges in the United States, Canada and West Indies.